We don't even get the double kk anymore. Just k. r u ok w/ that? IDK is one I use all the time. I find myself saying WIN! and FAIL! way too much. Just sayin'. This post is epic. DANG, Shannon already said that. I agree though, slang used to be slang. Today it is lame. I do use epic sometimes, but never Win or Fail. 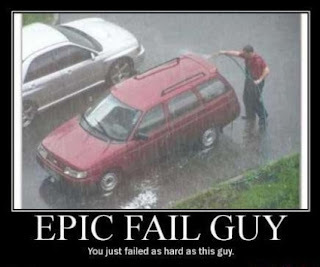 I have to say I like "epic fail," but not much else these days. lol, I use slang from every decade and love it. I think I say "just sayin" a lot! I just found your blog through one of the Saturday blog hops! Have a great weekend. Can't wait to read more! haha, this post is great. i tend to overuse the words "rad", "gnarly" & "dude" considering i'm a mother of a 3-year-old. but i'll be damned if it's not just the cutest thing ever when she calls our cat "dude". Shake off my booty one shake at a time! I agree about "fail" needing to be retired. One idiot in my metalsmithing class keeps saying it over and over and it's so grating. Hi, I'm your newest follower from La Bella Vita. Thanks for stopping by my blog. I think slang is so funny. It changes so often I can't even keep up anymore. I'm only 25 and some of the stuff teenagers say is so foreign to me that only urbandictionary.com can help me figure it out. 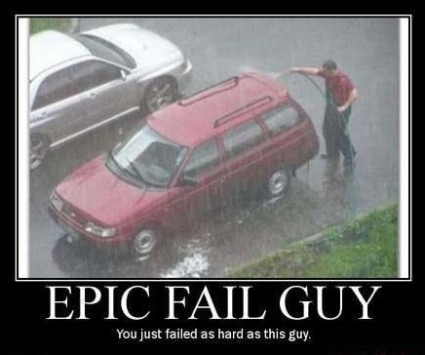 I definitely overuse "at the end of the day" and I've noticed that Epic Fail is very popular in online forums. I haven't said it for years, but I typed, "just sayin" yesterday! Great post. Thanks for your comment. I want to write like you - fun and free flowing. You make it seem so easy, so I'm extra flattered by your compliments. I do like the term 'epic' but I do try not to overuse it...my Christmas in September is usually pretty epic. Phrase that needs to die a miserable death: "That's what I'm talkin' about!" Usually uttered by someone who wasn't even speaking when they see or hear something they like.